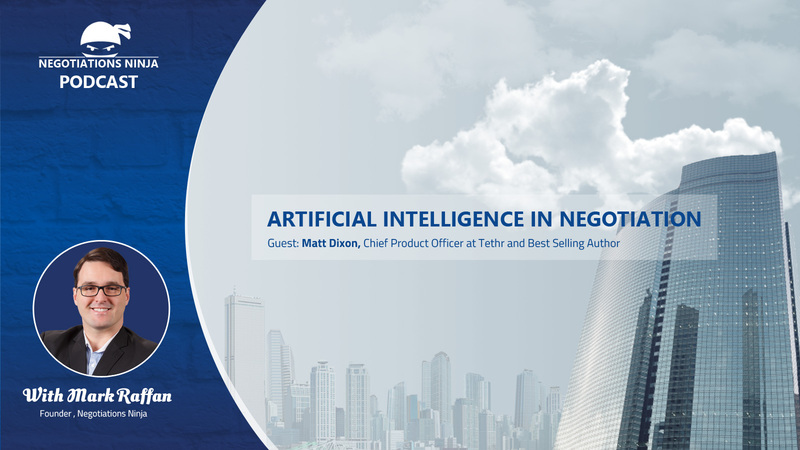 Matt Dixon, Chief Product & Research Officer at Tethr and noted business writer and speaker, returns to the Negotiations Ninja podcast to discuss the science of negotiation – specifically artificial intelligence. How does artificial intelligence impact negotiations, specifically in sales and customer service and the conversational jobs that require human interaction? Can artificial intelligence take on what we believe only humans can do?